TU TRABAJO YA ES DURO, TE MERECES UN LUGAR DE TRABAJO QUE NO LO HAGA AÚN MÁS DIFÍCIL. 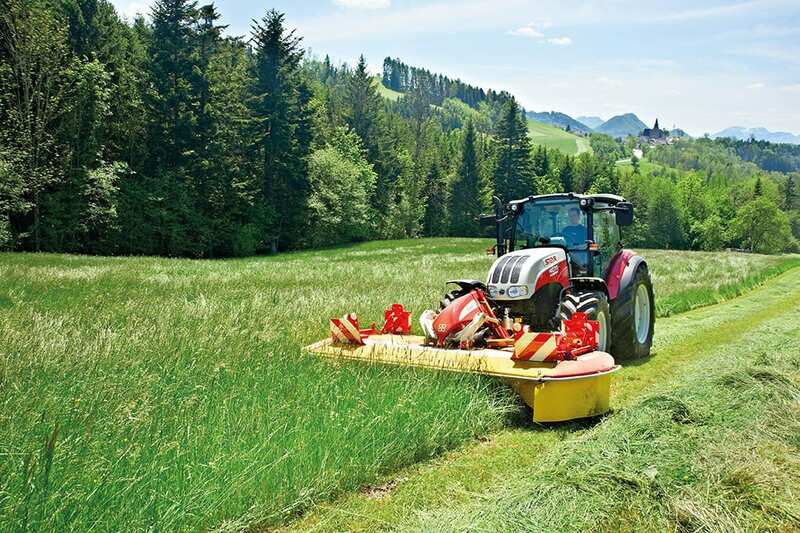 The new Kompakt from STEYR revolutionises the cost/benefit calculation. 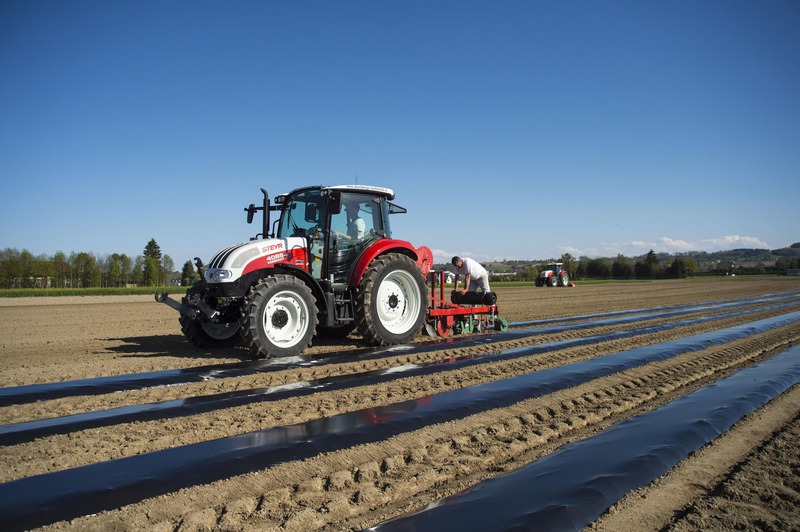 It is light, manoeuvrable and flexible: equipped with the proven technology of big tractors, the Kompakt is the ideal tool for virtually every application. 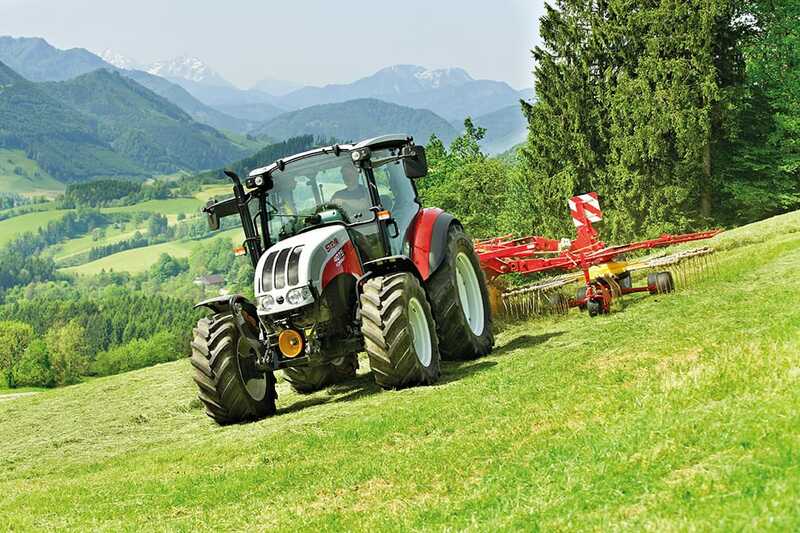 Engines between 74 and 114 hp and an excellent power-to-weight ratio guarantee optimum efficiency on grassland tasks. Ergonomic operation using the Multicontroller. Air conditioning unit and heating with improved ventilation system. 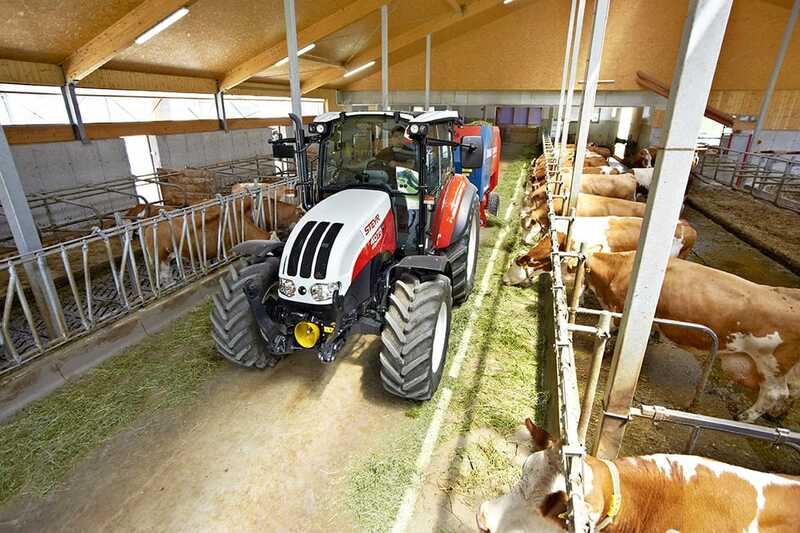 The unique manoeuvrability of the Kompakt class makes it the perfect working implement for front-loader operations in animal sheds and around the farmyard. 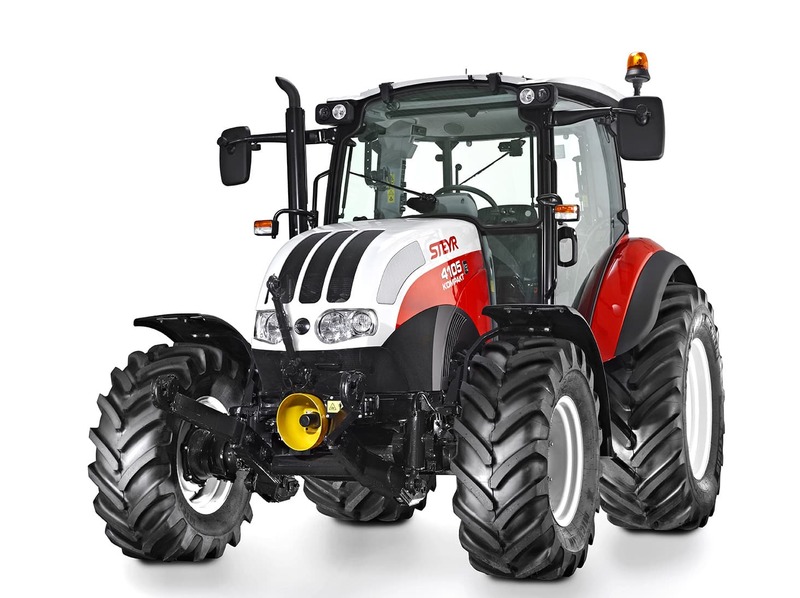 With a STEYR Kompakt you have the most versatile vehicle with the greatest number of benefits on the market in exchange for modest investment and operating costs. The spacious comfort cab on the Kompakt with its flat floor is modelled on the design of its larger brethren. Readily accessible from both sides, it satisfies all requirements for an optimum workplace. The ergonomics of the control elements, comfortable seats for driver and passenger, excellent acoustic insulation and an equally good ventilation and air-conditioning system deliver perfect conditions. The tilting front, rear and side windows also provide optimum all-round visibility, as does the roof window with sun roller blind. The new FPT F5C 4-cylinder common-rail engine not only delivers its power at nominal speed, but starts doing so right from the fuel-saving level of 1,800 rpm. This not only helps to keep fuel consumption low while hard at work, but also enhances ride comfort because it keeps noise and vibration levels relatively low too. 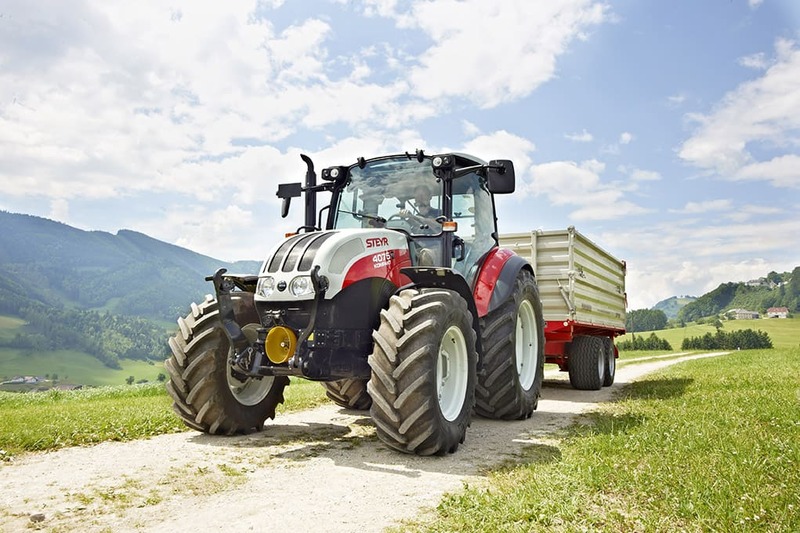 Depending on application profile and the job in hand, there is a choice of several transmission variants enabling engine torque to be delivered to the driven wheels and PTO(s) as efficiently as possible. The Kompakt S models have a robust mechanical hitch regulation (MHR), while the Kompakt models 4075 to 4115 have a choice between MHR and electronic hitch regulation (EHR). The rear-mounted hitch with an external auxiliary lifting cylinder offers maximum lift capacity of up to 3,700 kg. The optional second auxiliary lifting cylinder offers lifting capacity of up to 4,400 kg. Its unrivalled manoeuvrability makes the Kompakt flexible and universally operational. With a turning radius of just 3.82 m the Kompakt S remains manoeuvrable even in very confined spaces. The Optistop system automatically engages all-wheel drive as soon as both brake pedals have been actuated. The optional disc brakes on the front axle also help to deliver safe 4-wheel breaking. An electrohydraulic differential lock or limited-slip differential guarantees full traction under any conditions. 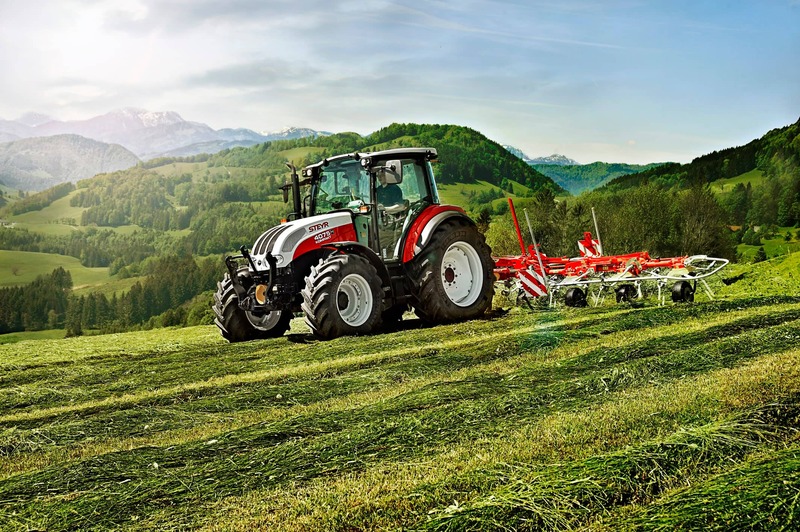 It is especially because you, as a farmer, need to achieve optimum performance every single day, you need to have a machine upon which you can rely unreservedly. The EZ-Pilot™ system turns the steering wheel with integrated electric motor. The system takes charge of all of the steering work and offers great precision at a reasonable price. The motor integrated in the steering column permits unrestricted access to all instruments and does not obstruct legroom at all. When the power steering system is turned off, it is still possible to steer manually without any restriction. The Autopilot™ automatic steering system enables the vehicle to be steered on any kind of field without driver intervention. The Autopilot™ system steers the vehicle automatically and extremely precisely at speeds of up to 40 km/h. 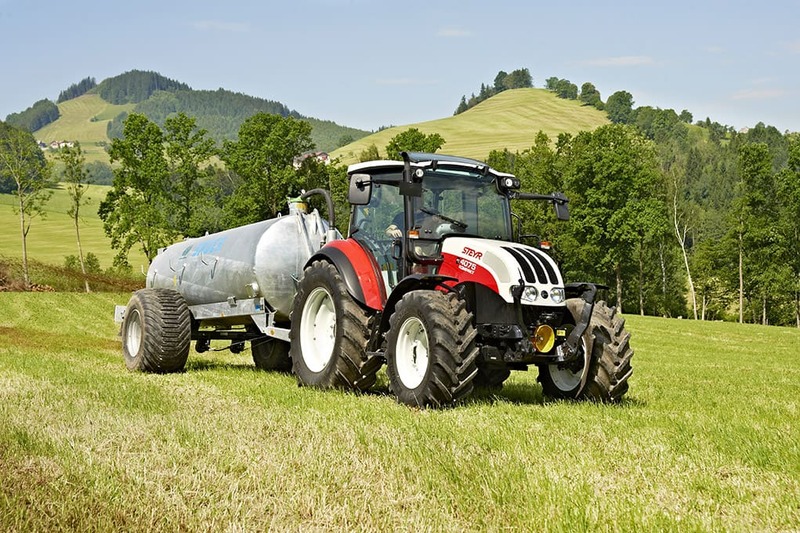 The passive AGGPS TRUEGUIDE™ steering system keeps the implement absolutely on track at all times through automatic adjustment of the tractor course. The active AGGPS TRUETRACKER™ steering system keeps your implement and your tractor on the same plotted course.